The Jacksonville Aviation Authority recently filed plans for its new air traffic control tower at Cecil Airport, which will also house a control center for Cecil Spaceport. The plans, which focus on the property's drainage, are JAA's first since it announced plans to demolish its current 55-foot tower with a 135-foot tower and control center in 2017. The spaceport control center will give commercial horizontal launchers the ability to track and remotely collect data from their spacecraft, Cecil Spaceport Director Todd Lindner told the Business Journal. 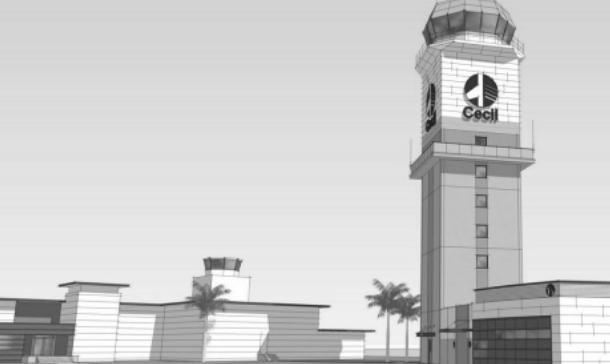 JAA's newly designed air traffic control center at Cecil Airport and Spaceport will stand 135 feet tall, replacing the airport's current 55-foot tower. "If you launch a vehicle, you're responsible for tracking it and collecting data," said Lindner. "We'll be providing the facility to conduct those services, but we will not be the ones doing it." Cecil Spaceport is one of only six commercial horizontal launch facilities in the U.S., and the new control center will make it one of only three with dedicated tracking and telemetry facilities. Atlanta-based Generation Orbit Launch Services Inc. will launch the spaceport's inaugural flight when it sends football-sized satellites into orbit in late 2019. Regulators require launchers like Generation Orbit to file applications stating exactly what measures they will track (telemetry) and what metrics they expect to reach, which makes the control center a critical component, Lindner explained. "Launchers have to put together a telemetry plan that says what they will measure," said Lindner. "Then they have to do what they said they were going to do in their application." 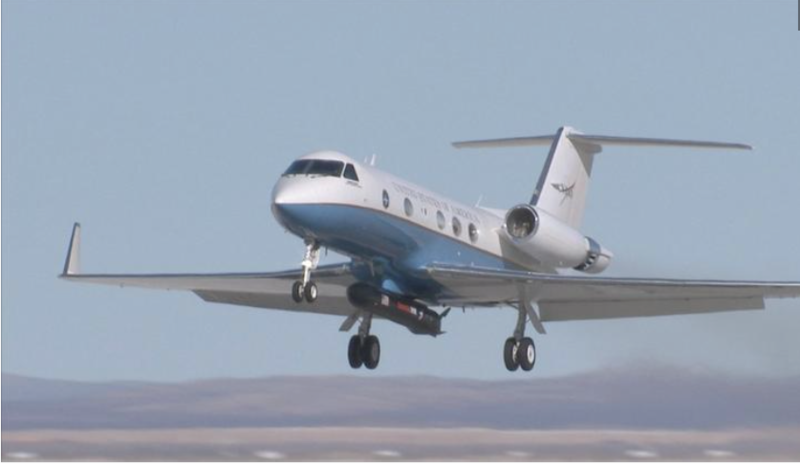 The data will be relayed from the spacecraft to the control center via an antenna that can either be brought in on a trailer or permanently installed at Cecil. Lindner noted that he is currently "in the design phase" of the control center, but it will be plug-and-play for any launcher to use. Construction for the entire air traffic tower is expected to cost $3.3 million, funded by the Florida Department of Transportation and JAA.